Premier W30 30" cut heavy duty paper trimmer delivers straight, clean cuts using a fully hardened self sharpening carbon steel blade and offers an ergonomic soft-grip handle that provides comfortable use. Premier W30 30" cut heavy duty paper trimmer delivers straight, clean cuts using a fully hardened self sharpening carbon steel blade. Its 30" cutting length is more than enough for standard, letter size paper. Permanent, 1/2" measuring grid provides a useful measuring guide that won't wear out like painted grids. Accurately cuts paper, matte board, cardboard, film, tissue, and textiles. 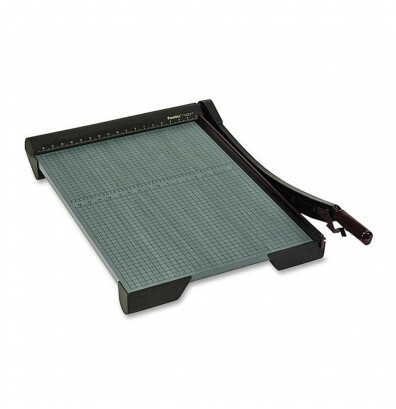 Premier W30 heavy duty paper trimmer features a finger guard that protects the entire blade length and a torsion spring that prevents blade from accidentally falling for increased safety. Patented automatic blade latch locks with every cutting motion for added control. Able to cut 20 sheets at once to save time on trimming. Versatile dual scale rulers in English imperial (inches) and metric system ensure proper alignment. Also available in 36" cutting length with automatic paper clamp (model# WC36). Rulers scaled in inches and metric system. It is 4/28, barely a year since this purchase and both items have had serious trouble. We have 4 other cutters in our shop that have not given us any problems in over 5 years. I am of the opinion that these cutters are of very low quality and I am very disappointed. One of our production lines is down because one of these cutters is completely non-functional. I will be contacting the seller. Hopefully, something can be done to help us without any unreasonable expense. 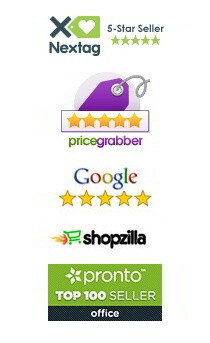 We have been ordering this product for years and still love the quality. Shipment was quick and packaging seems to be a priority because trimmers always arrive flawless. Awesome paper cutter, love the weight, accuracy and size! Two thumbs up!